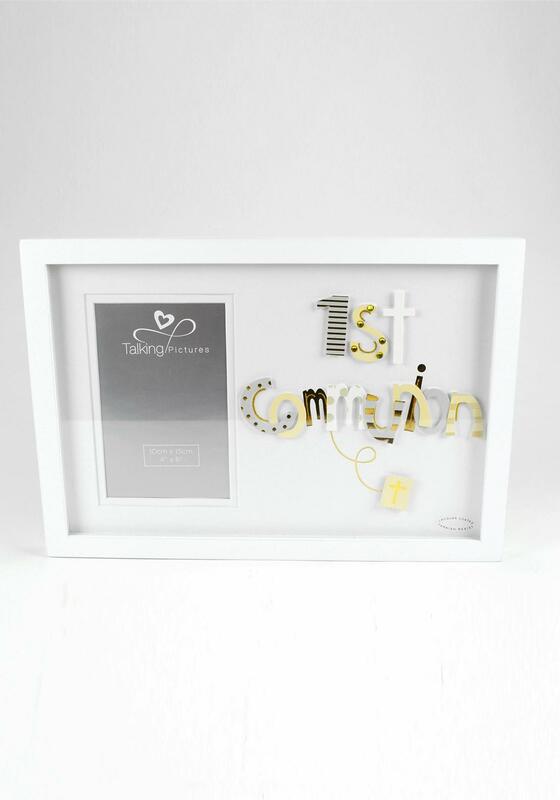 Celebrate a First Holy Communion with this special frame. It has a 3D 1St Communion graphic on the right and a 4” x 6” photo frame on the left. It is lacquer coated and tarnish resistant.